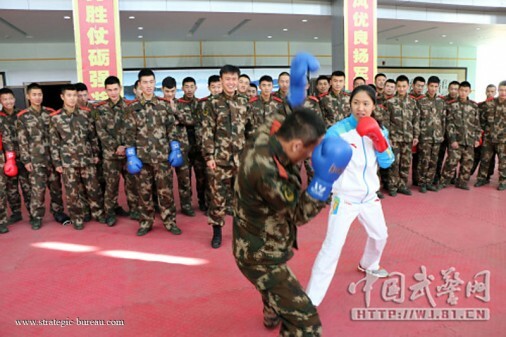 Olympic athletes of the « Fight Formation Squad » coach the Chinese Military Police. 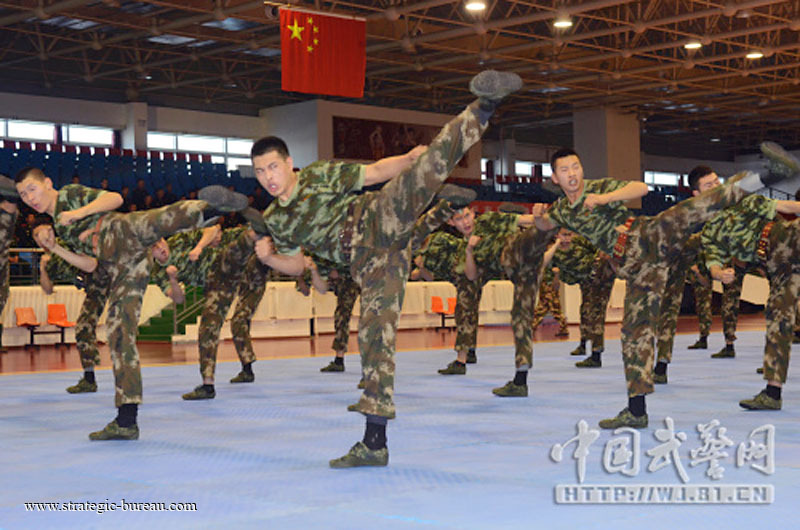 Training of Chinese military police in the « Fight Formation Squad » top sports team niveau. 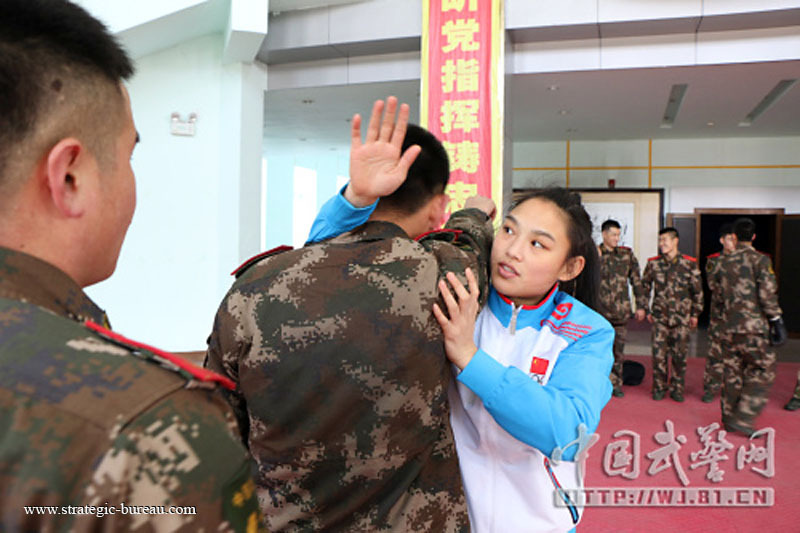 Atletes are Ren cancan, silver medalist female chinese boxer London Olimpics in 2012, triple world champion and six-time national champion boxer, female boxer Sanda Pengyao and boxer Liu Qiang of the Olympic team. Since 2012, the « Fight Formation Squad » took part in combat training infighting with various units: Snow Leopard Commando, SWAT Institut, Xinjiang military police, Qinghai military police.